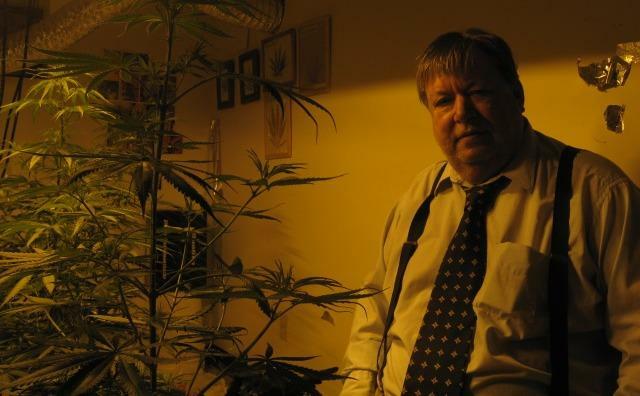 John Ter Beek has 12 plants in his grow room. "This is why I went to law school - is when I see a wrong I try to right it. And I see a very great wrong done here. They're trying to take our rights away," Ter Beek said. He takes up to 9 pills a day for diabetes. A doctor recommended medical marijuana for pain because of neuropathy - a nerve disorder associated with diabetes. "This is a very thinly veiled excuse for them just not liking the law, just not liking marijuana - that's how I see it." Wyoming Mayor Jack Poll disagrees with Ter Beek. As a pharmacist, he really just wants to see more control over the drug. "If this is determined to be the best route of pain relief for them - I certainly wouldn't be opposed, but let's just get in the system that we have and make it work." The board voted unanimously in an early version of the ban. That's despite the city's attorney advising against a ban. "Where this case may go? I don't know, I don't know," Poll said. "But am I willing to spend some money as the mayor? Yes I am because it has to do with public safety. And it's one of those pay me now, pay later, type situations. If we don't solve the problem today - what's our problem going to be in the future." Public safety was city council's biggest concern. Poll and other members of council worry the traffic of people will disrupt neighborhoods, and increase theft. Ter Beek argues the city's proposed rules are too vague, and ignores citizens' rights to amend the state constitution. Voters in the city of Wyoming cast ballots in favor of the 2008 ballot initiative. A final decision from city council is expected early next month.